The safety of all players as well as staff is the number one priority at the FunSplash. All players must be a minimum of 6 years old and 3’6’’ to play on the FunSplash. Players need to swim approximately 50 feet to reach the sports park. Before purchasing a Splash Pass all players or their legal guardian, if under the age of 19, will need to read and sign the liability waiver. All players are required to wear a properly fitted lifejacket provided by FunSplash. All players are required to listen to a short briefing about safety on the water park before access the FunSplash. The posted Safety Rules of Play will be strictly enforced by all staff. See Safety Rules of Play poster. Lifeguards are stationed throughout the sports park to ensure the safety of all players. Lifeguards will expel anyone from the park who is a danger to their own safety or that of others. No food allowed on the FunSplash Sports Park equipment. 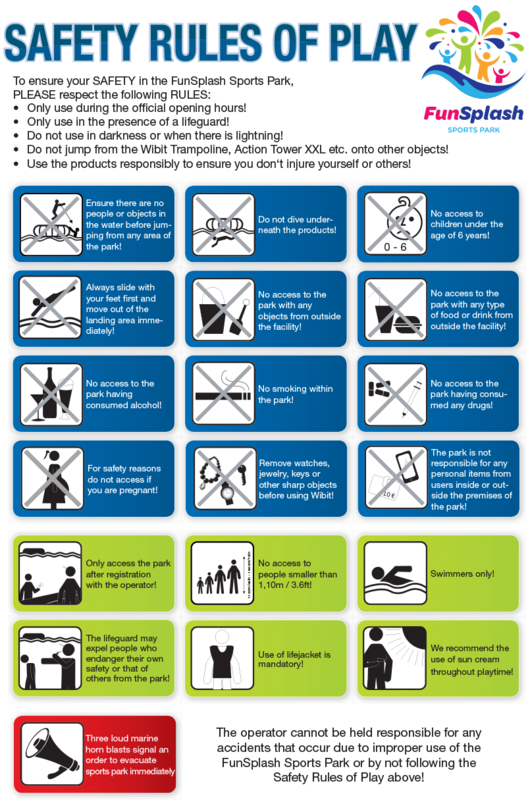 Access to the water park may be denied if the player has consumed any alcohol or drugs. 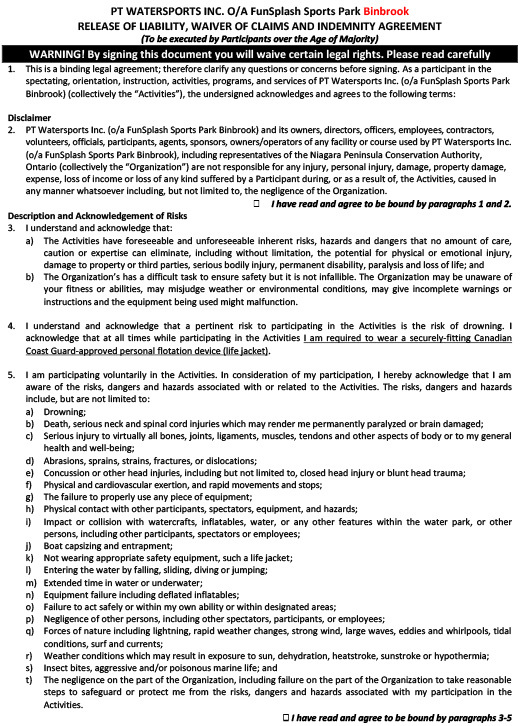 Print off the waiver and bring it completed if the legal guardian isn’t going to be with the minor at the FunSplash.